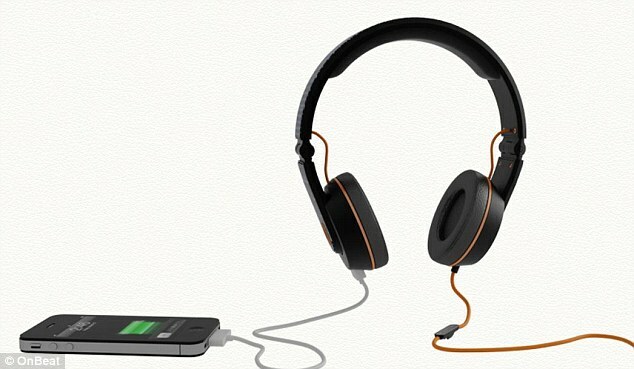 A new pair of headphones have been developed which are designed to act as a solar-powered charger. Energy from the sun is captured by a flexible solar cell built into the headband of the OnBeat headphones. The power is stored in two rechargeable Lithium Ion batteries in each ear cup. When a phone or tablet is plugged into the headphones, this stored energy can be used to charge the devices – nifty! Developers claim that these headphones will ‘keep your devices running all day’ but the exact amount of charge is not known. What we do know is that, according to the specification, they provide a full battery recharge for a mobile phone. The phone doesn’t charge through the headphone jack, it is connected to the headphones using a USB port. The OnBeat headphones have audio impedance of 32 +/- 10% Ohm and a frequency response of 20hz to 20,000Khz and have a sensitivity of 100 +/- 3 dB. A pair of the OnBeat headphones will set you back around €125 euro, when they hit the market, next February.